Entrepreneurs seem to grow their businesses effortlessly. So what sets entrepreneurs apart from other people? 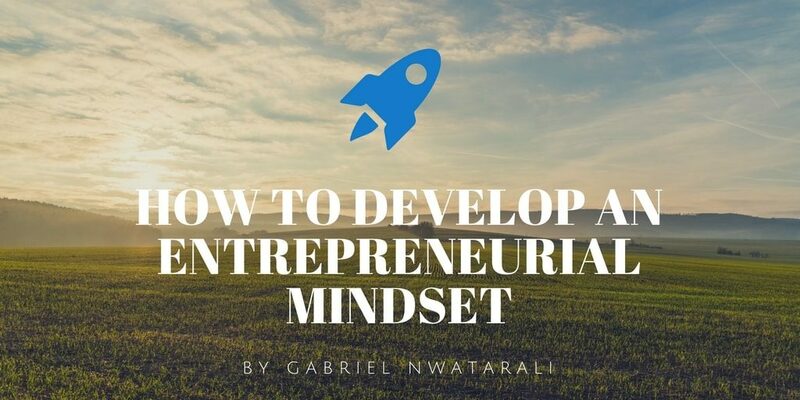 What does it take to have the entrepreneur mindset? They are different traits, habits, thoughts, and beliefs that position them for business success. If the following characteristics describe you, then you may have what it takes to be an entrepreneur. They look for better or more efficient ways to do things. They look at different perspectives to find unusual, never been tried before solutions to problems. When they have an idea, they normally don’t stop until the idea becomes a product or service that solves problems. Rather than spend time writing an elaborate business plan and over analyzing every possible scenario, entrepreneurs take action even without a detailed strategy in place. A lot of entrepreneurs may be insecure and nervous about failing. But they’re willing to step outside their comfort zone, forge ahead and do whatever it takes to succeed. They’re willing to take calculated risks because they are able to see great potential in their business venture. They figure out ways to make everything work out with whatever resources they have on hand. They don’t quit because they lack capital or raw materials. Instead, they think of creative ways to maximize the use of available resources to be able to complete a project. They are always on the lookout for opportunities to improve products and processes. They don’t ask for permission before they act. They forge ahead and address the issues that they encounter along the way. They know that resisting change is pointless. Innovative in their approach to change, smart entrepreneurs often tweak their business ideas in response to market conditions and feedback. They embrace new technology and new practices. They have an endless appetite for new knowledge, knowing that it will help expand their skills and improve their businesses. When confronted by problems, entrepreneurs rise to the occasion. Challenges motivate them to work harder. To them, every problem has a solution. They look at adversity as an opportunity to improve themselves and their business. They fail fast and fail often. When they fail, they resist the urge to feel sorry for themselves. As Albert Einstein once said, “Failing isn’t bad when you learn what not to do.” Entrepreneurs recognize that disappointments are great opportunities for learning. They learn from their mistakes and move on immediately to the next step in their journey. They frame things in a positive light and do not get easily discouraged when things don’t turn out well for them. Those that are willing to listen will have their clients show them which of their products or services provide the most value. Also, they surround themselves with people that are smarter than they are. They listen to other people’s ideas because they believe that success takes communication and collaboration. They fail and pick themselves up again and again until they get things right. Their vision is clear and they choose to focus their energy on what’s good for their business. Shiny new objects do not distract them. They refuse to spend time on anything that does not expand their business ventures. They don’t have money fears or insecurities that prevent them from sourcing funds and making the needed investments to grow their business. To most entrepreneurs, a paycheck is almost like modern day slavery. They look forward to creating a serious moneymaking business that lets them earn as much as they want to, 24 hours a day and 7 days a week. They will work for a company, only if it aligns with their goals for the future. Entrepreneurs are some of the world’s greatest dreamers. Building a business takes patience, effort, and it is best done with a positive attitude. Entrepreneurs work hard and constantly look for opportunities to grow their business. Do you want to be the next Walt Disney, Steve Jobs or Richard Branson? Learn to embrace the above characteristics and you may cultivate the entrepreneur mindset, as well as be on your way to building your dream business.